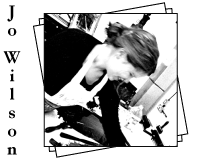 Jo is a passionate printmaker who specialises in relief printing. Her work is inspired by the sea and the natural world. She left Middlesex University London with a BA honours degree in Illustration. Jo is a member of the British Printing Society and thePrintmakers' Council. Jo has exhibited in a range of shows and exhibitions. London Print Studio and UK national tour (commenced March 2009). Images 33, the Association of Illustrators annual publication (August 2009). Exhibition, London college of Communication, Elephant &Castle, London. Happy Birthday Edward Lear, The Poetry Cafe Autumn 2012.